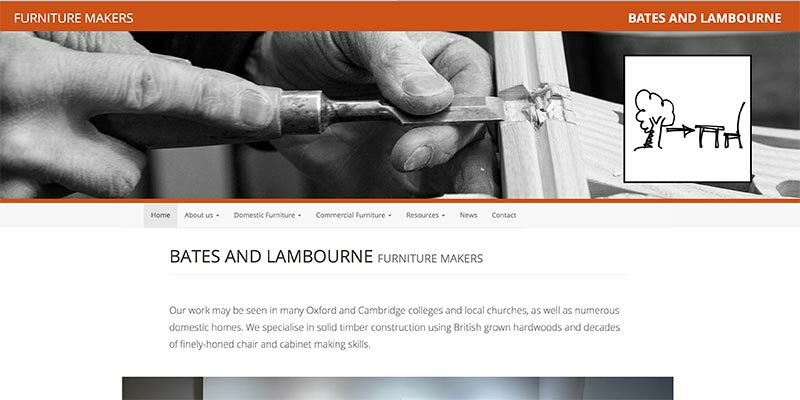 Bates and Lambourne have over thirty years’ experience of manufacturing high quality furniture to commission for domestic, institutional and public use. 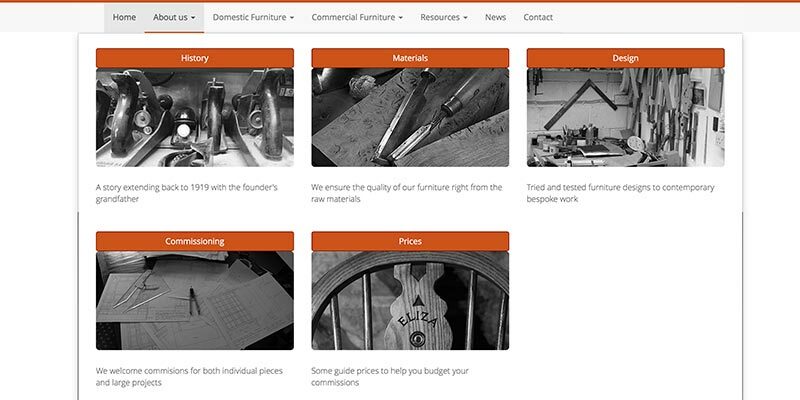 The web-site uses a modern layout while including soft touches of colour and photography to remind users this is a site for a craftsman's company producing natural wood products. A large portfolio has some excellent photography of pieces of furniture. 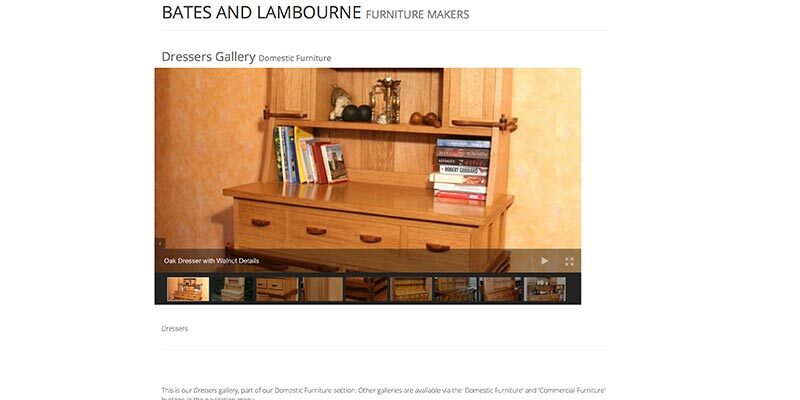 This website for a traditional craftsman furniture-making company is required to convince potential buyers that the company's heritage and skill will deliver a wonderful piece of furniture that will last a lifetime. The site design is based on the company's corporate colours and some great photography of the workplace, tools and products.. 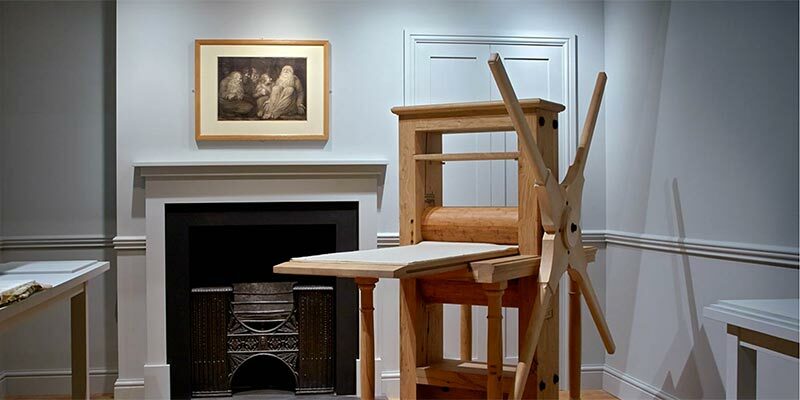 The client is a keen photographer and has many excellent colour and black & white photos of the furniture and the manufacturing process, much of which uses tools and techniques unchanged from centuries ago. We used large, clear photos to illustrate the text in such a way that the reader is drawn into scrolling down the page and reading further and further. The photos also tell a story of the journey from tree trunks through the hands of skilled craftsmen with the carpentry tools through to the final products. These also show the atmosphere of the workshops and the people involved to make the products much more personal. In such a site, it's important to have good quality photography and display them at a decent size. * Allow the inclusion of additional key-words for Google to pick up. The client has a bespoke admin system to allow them to add more case studies and news as they arise.